About Boschert and Son « Boschert and Son Homes, Inc.
Bob Boschert is a native of St. Charles, and has been actively involved in the community for many years. A graduate of Duchesne High School, Bob served on the advisory board for 6 years. He also served as President of the St. Cletus Men’s Club for 4 years. Currently Bob is a member of the Council for the J. Scheidegger Center for the Arts, located on the campus of Lindenwood University. 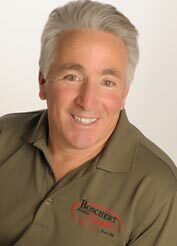 Bob Boschert began his career in home remodeling in 1984 when he established Bocher Homes and Realty. Prior to that, Bob served as Assistant VP of a local savings and loan for 13 years. In addition, he has been licensed as a Missouri Real Estate Broker since the late 1970′s. In 2004 Jason Boschert joined his father in the family business and the name was changed to Boschert and Son Homes, Inc. Jason, like Bob, is involved in the community and is an active member of the St. Cletus Men’s Club. 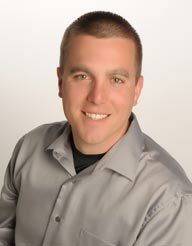 In addition, he represents Boschert and Son Homes in the St. Charles chapter of BNI (Business Network International), where he served as Secretary Treasurer for 4 years. Boschert and Son Homes, Inc. has an established and respected reputation. Many insurance companies (agents and adjusters) will refer their clients to Boschert and Son Homes because of their honest appraisal of repair needs and timely completion of work. Bob and Jason are invested in the future of their family owned and operated company. To that end, they stay current in the industry by subscribing to trade magazines and regularly attending seminars on the latest home remodeling products. For instance, Bob and Jason have attended classes on proper roof ventilation via air vents, and have been instructed on the installation of the newest fiber cement siding by James Hardie. Boschert and Son Homes is an EPA certified renovator, which allows them to conduct lead-safe renovation, repair and painting work in pre-1978 housing and in child-occupied facilities where work will disturb lead-based paint. They are also a Wellborn Cabinet Inc.® preferred remodeler, a company that provides a wide range of cabinet styles and pricing. Bob Boschert has been providing quality, dependable home remodeling services to customers in St. Charles and surrounding counties since 1984. 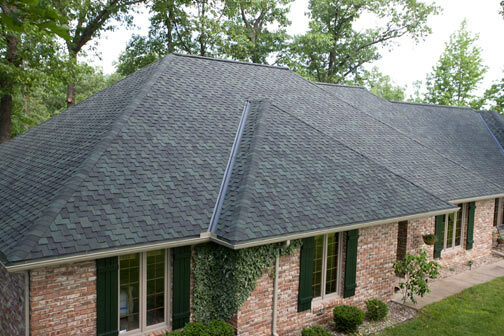 Boschert and Son Homes, Inc. – we’ve got you covered.